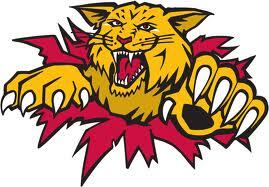 If you’re a fan of the Moncton Wildcats of the Quebec Major Junior Hockey League (QMJHL), check out their YouTube channel — Wildcats Television! One fun recent video shows team mascot Wild Willie heading to the Riverview Animal Hospital to have some broken ribs treated. The video played during a recent Moncton Wildcats game. Clever use of sponsors!